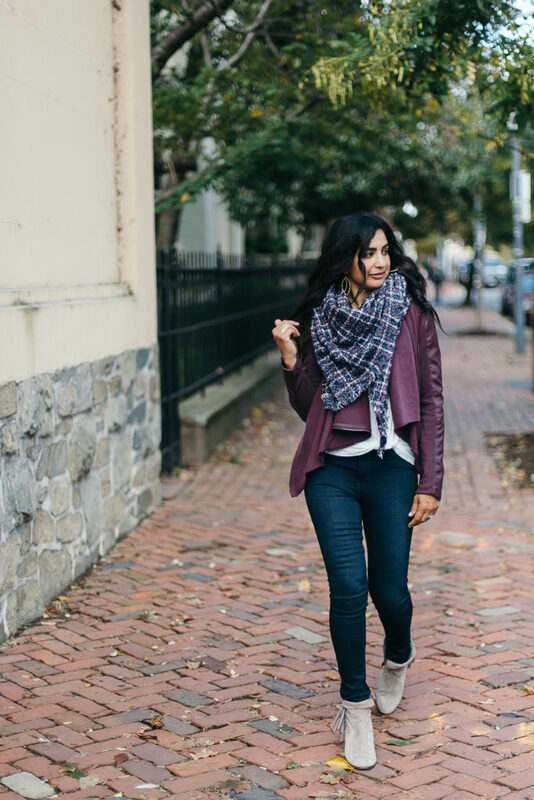 Blanket scarves are great accessories to incorporate into your fall and winter wardrobe. 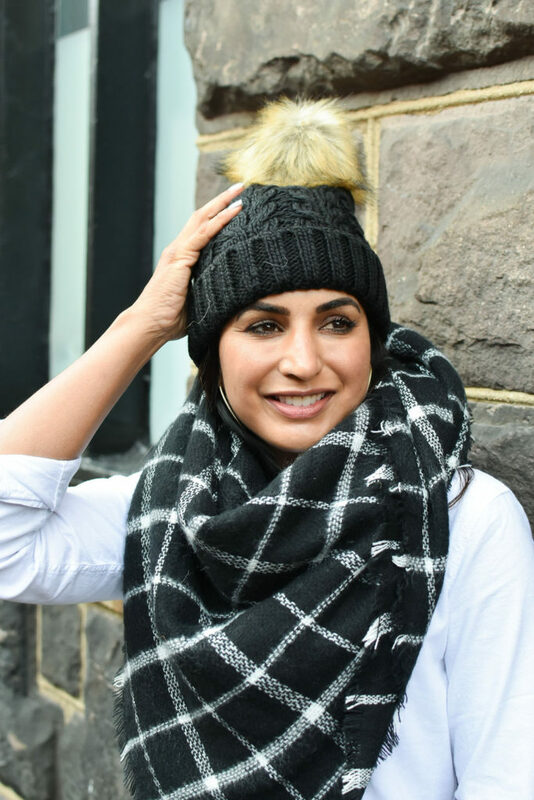 These stylish accessories not only keep you warm but are an ideal layering piece to complete an outfit. 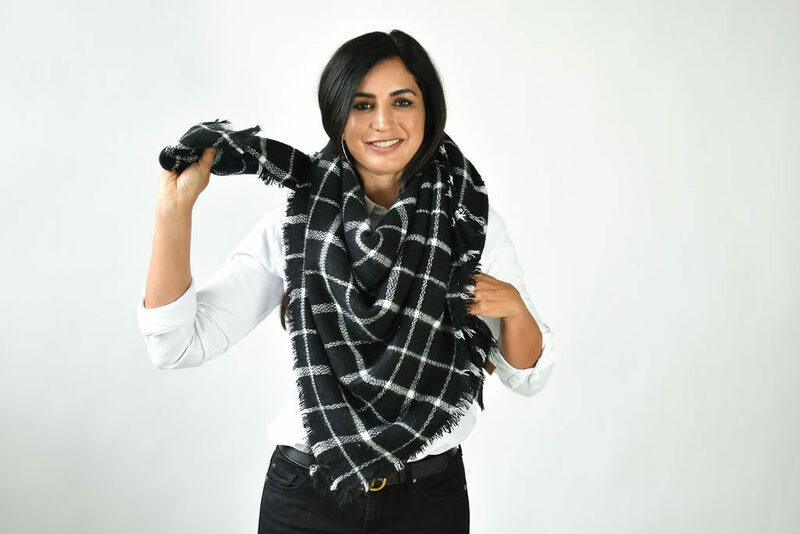 I’ve heard from many of you who have said that you like the idea of wearing a scarf but you don’t know how to wear one and find it difficult to style. I agree — their bulk can be intimidating. 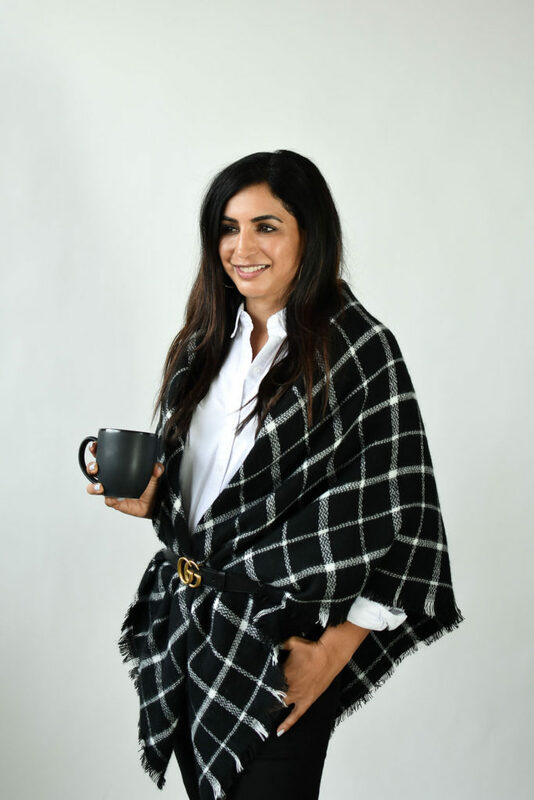 So today I’m showing two ways to wear a blanket scarf AND I’m breaking down the steps to achieve each look. 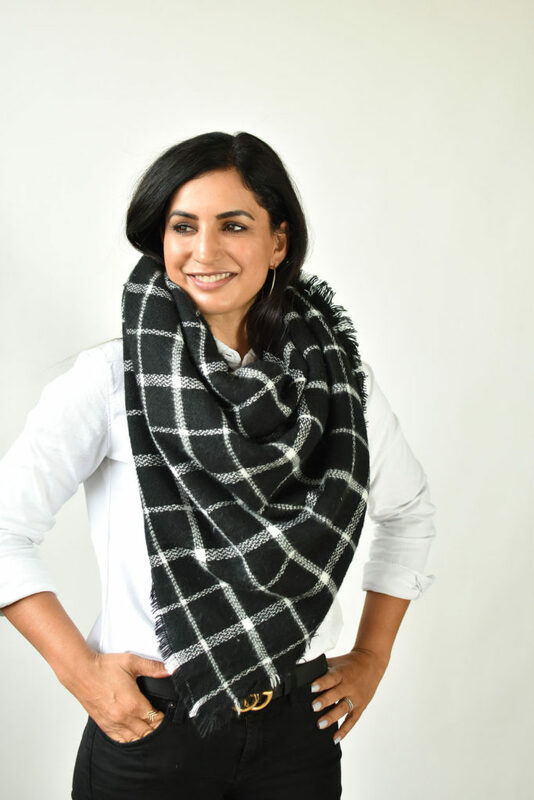 I typically wear a blanket scarf with a tee shirt or a simple button down shirt and jeans. Most of my wardrobe consists of simple pieces that are a canvas for layering accessories to make each outfit unique. 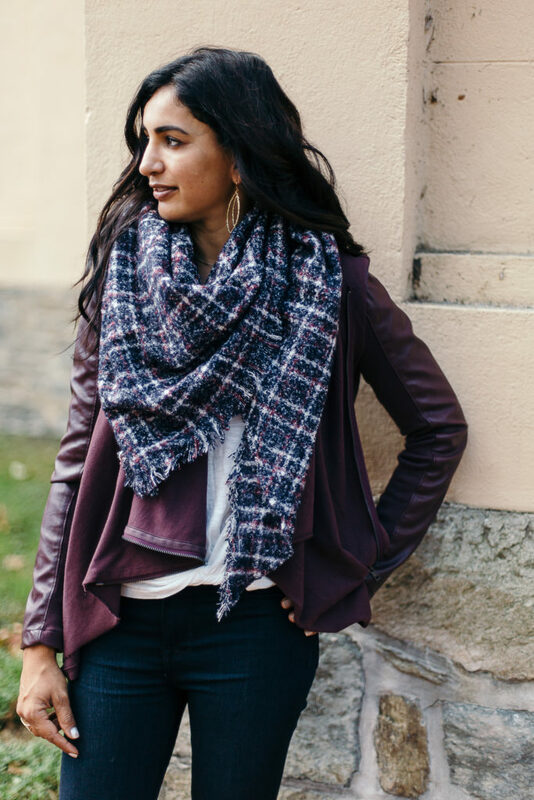 Think of a blanket scarf as a special piece to add color, pattern, or texture to your basic outfit. It’s also a great way to tie a color palette together. 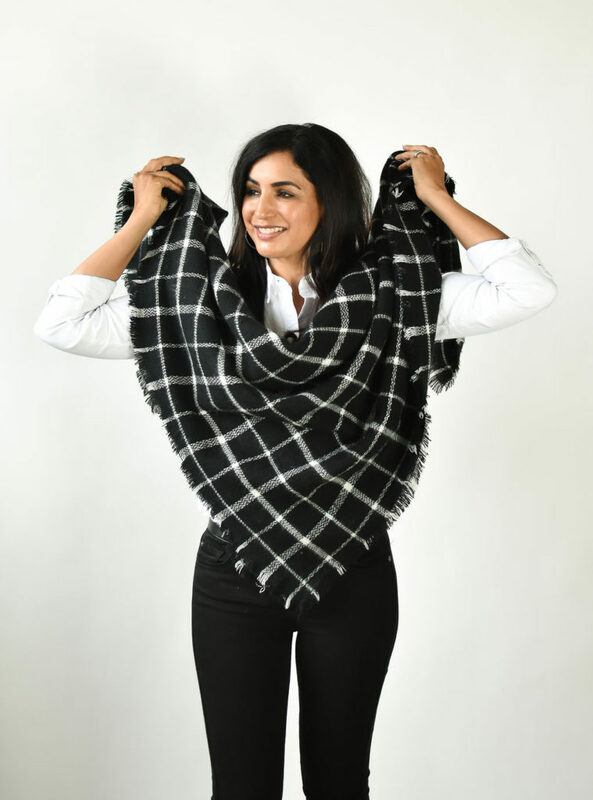 Step 1: Begin by folding your blanket scarf into a triangle. Hold the triangle by the two corners in front of your body so the base of the triangle is at the top (by your face) and the apex is at the bottom. Step 2: Pull the ends behind your head. Step 3: Cross the ends and switch your hand placement so the right hand is now holding the end from the left and vice versa. Step 4: Pull the ends so the front of the scarf drapes comfortably across the front of your body. Step 5: Pull the ends around to the front of your body. Step 6: You may choose to tuck the ends under your scarf or to leave one or both ends loose in front. It’s up to you! I usually wear a draped scarf with a jacket or cardigan too but it’s not necessary. 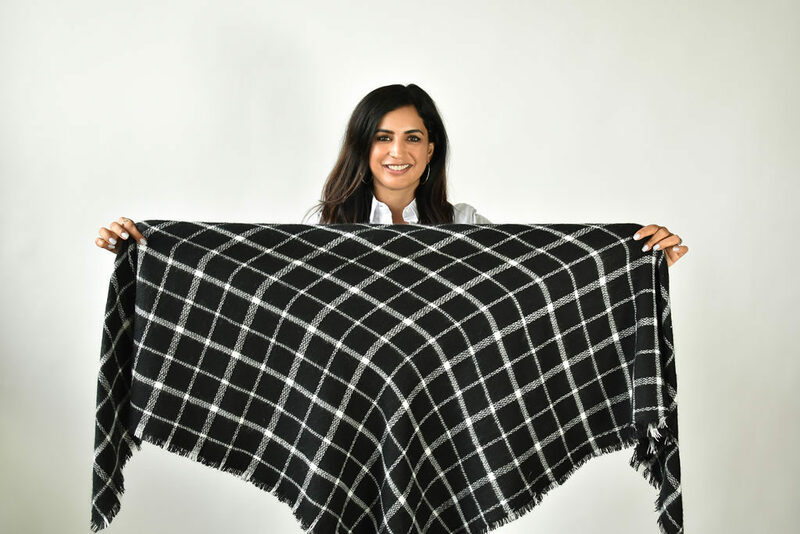 Step 1: Begin by folding your blanket scarf into a triangle. 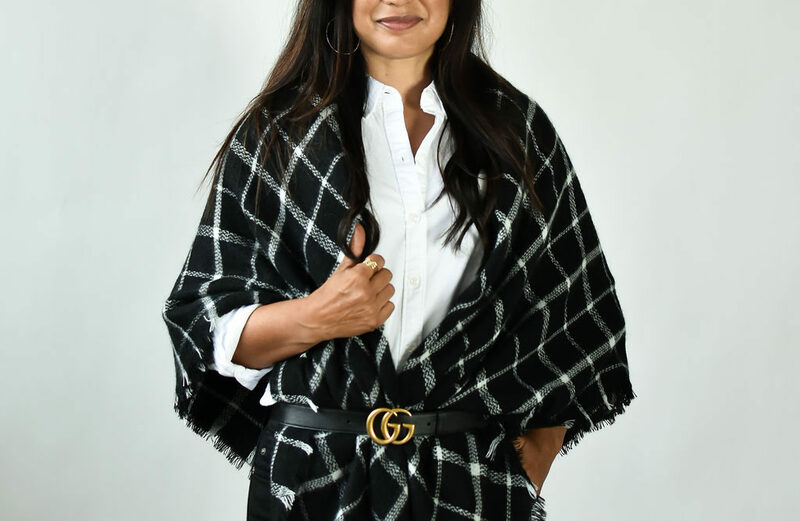 Hold the triangle by the top of the scarf in front of your body (your hands should be placed wider than your shoulders) so the base of the triangle is at the top (by your face) and the apex is at the bottom. 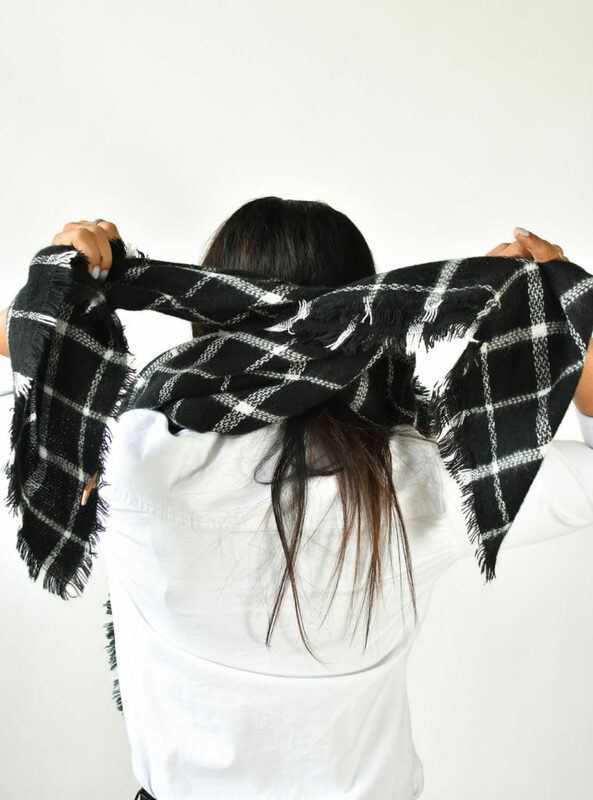 Step 2: Flip the scarf over your head and drape the base of the triangle across your shoulders. 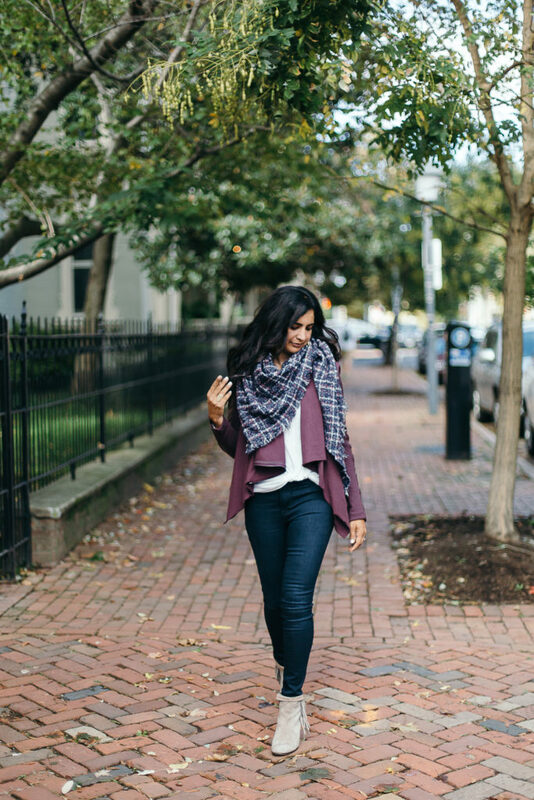 Step 3: Grab your favorite belt and secure it around your scarf at the waist. 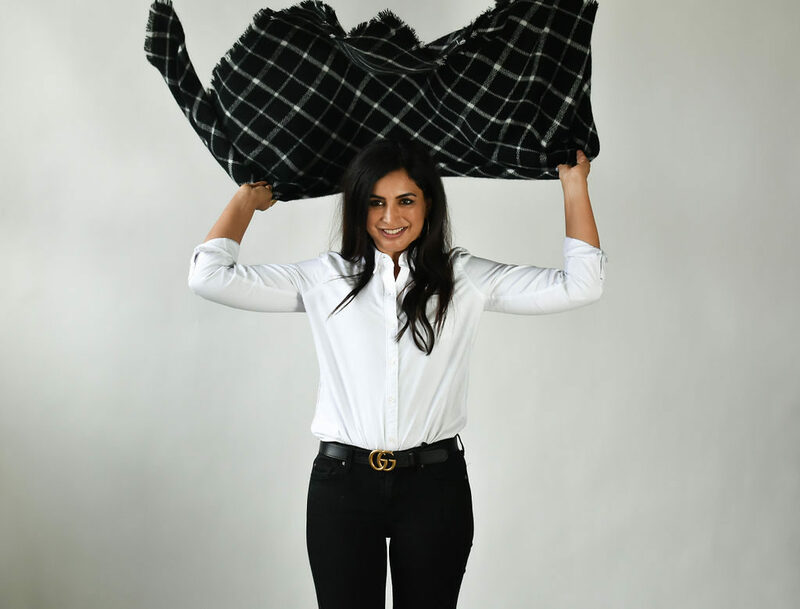 The scarf can be gathered as tightly or loosely around your body as you desire. 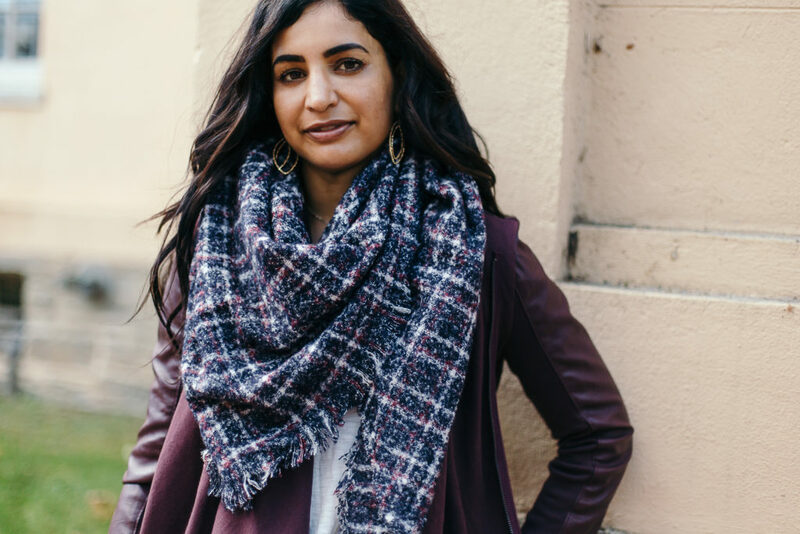 There are so many more ways to wear a blanket scarf but these are two of my favorites. 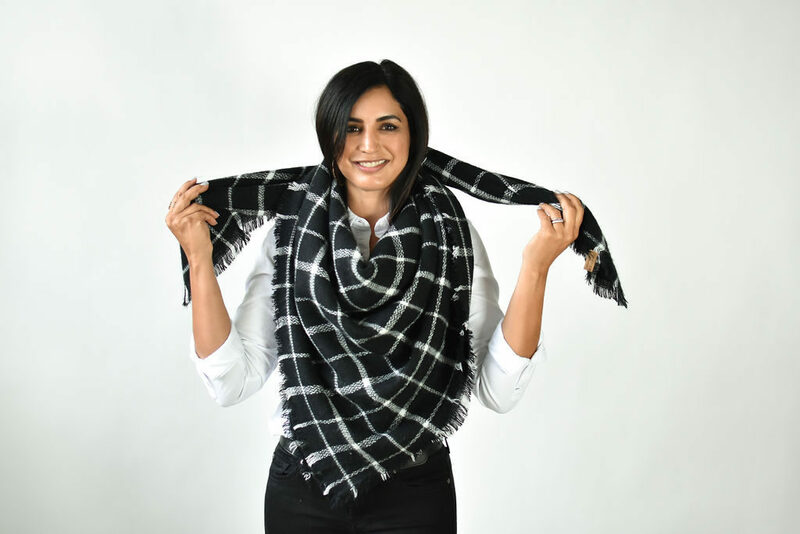 Pick up a scarf and start experimenting!